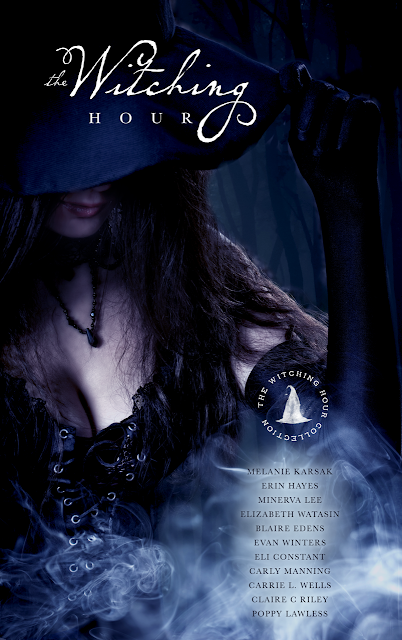 I'm very pleased to reveal the full cover for the complete Witching Hour Collection. The full collection will not release until the end of November, so I hope you've been enjoying our witch novellas "a la carte" as we release. For the full collection, expect to find more exciting shorts and flash fiction pieces along with witch novellas. I'm working on a lovely little short called "The Witching Arts." This well be a stretch for me since I'm writing from a male point of view...but a point of view I love. This will be a first-person short from the POV of Lord Byron. Byron;s mind is a really fun place to hang out. Expect other little fun nuggets as well. More details coming soon, but for now, feast your eyes on that lovely cover! Witch Wood: Chapter 1 Free Preview!